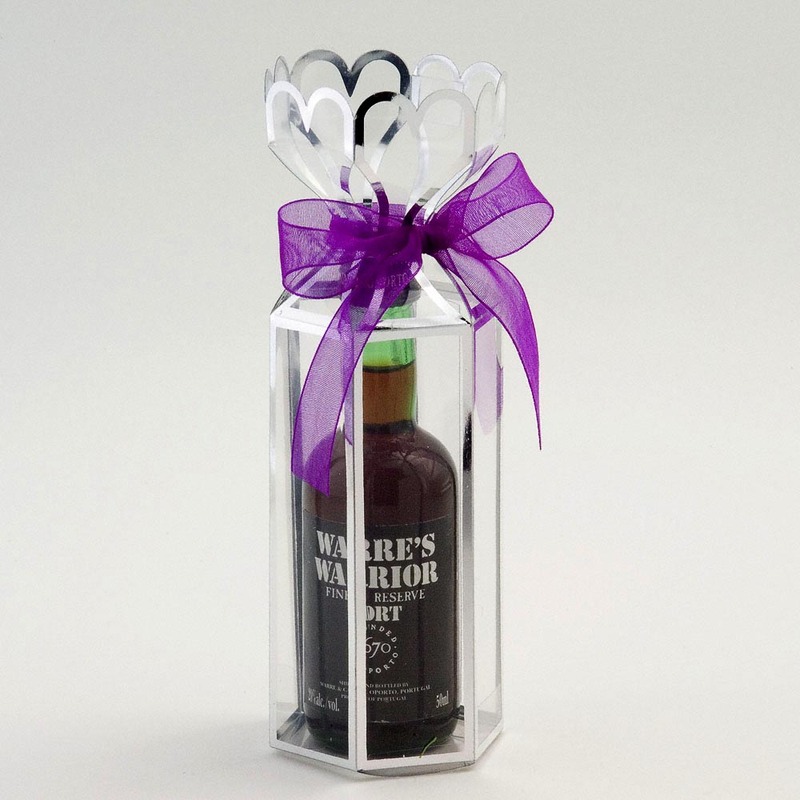 Our Clear Miniature Wedding Favour holders are a simple and extremely versatile favour for your wedding tables. Approximate Size: Base 5cm diameter, Height 10cm, Total Height including Hearts 16.5cm. These favour holders come in a variety of 2 different colours, gold and silver, and are a lovely addition to your wedding. 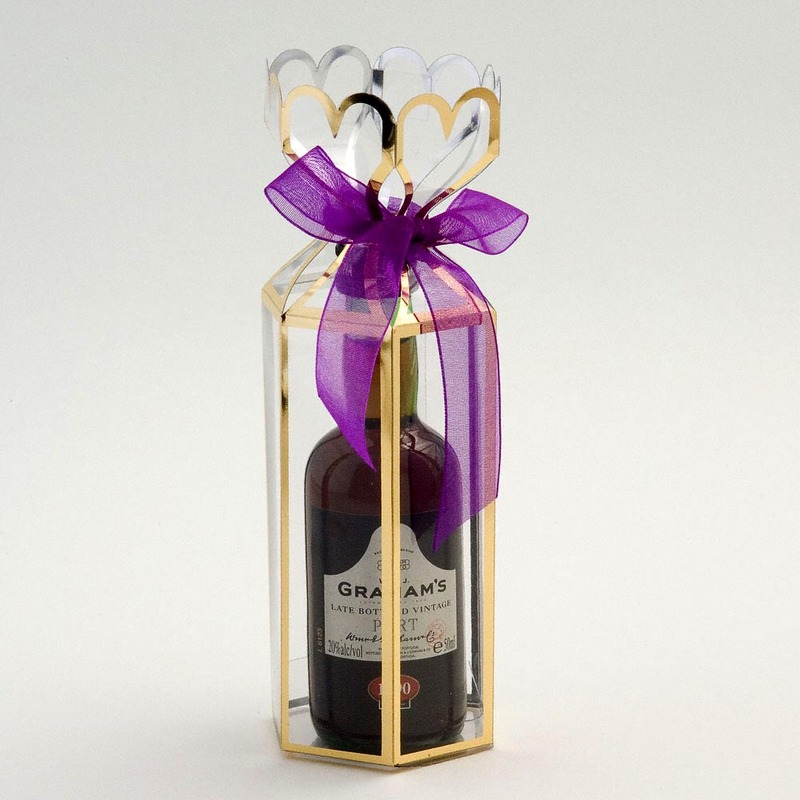 When paired with our satin or organza ribbon they can become a truely eye catching wedding favour, fill them with your favourite drink or shot to give your guests a fun start to the evening. Please note that all of our DIY favour boxes come in flat packed form and do not include any ribbons, decorations or fillings, all of which may be purchased separately, excluding alcohol.